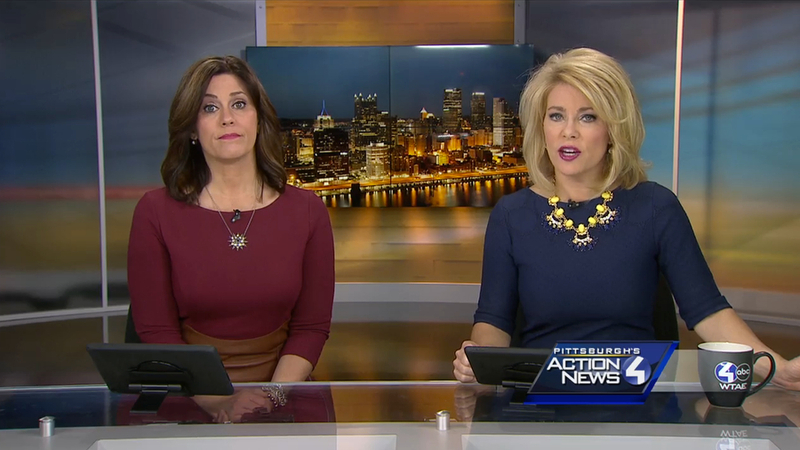 WTAE-TV, Hearst’s ABC affiliate in Pittsburgh has replaced its set, making it the final major station in the market to do so. The new set, designed by Devlin Design Group and featuring displays from Primeview, includes tall sections of framework surrounding printed backgrounds along with flat panel video arrays. The station notes the backgrounds design reflects Pittsburgh’s confluence of rivers with rivets added to the framework to honor the cities former steel industry. 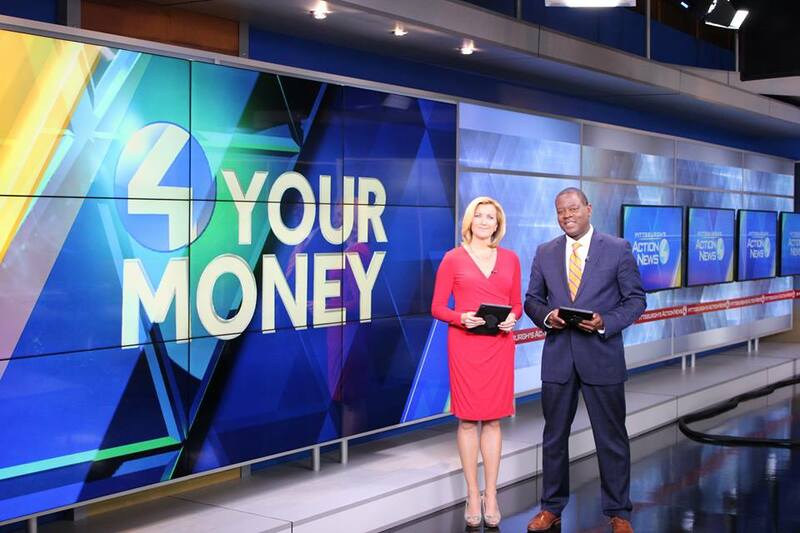 The anchor desk, meanwhile, features angles that tie into the Hearst graphics package’s diamond motif, known as the diagrid. This diagrid pattern extends along the left side of the studio, with a 3×3 monitor wall and 4 horizontal monitors for various standup positions. 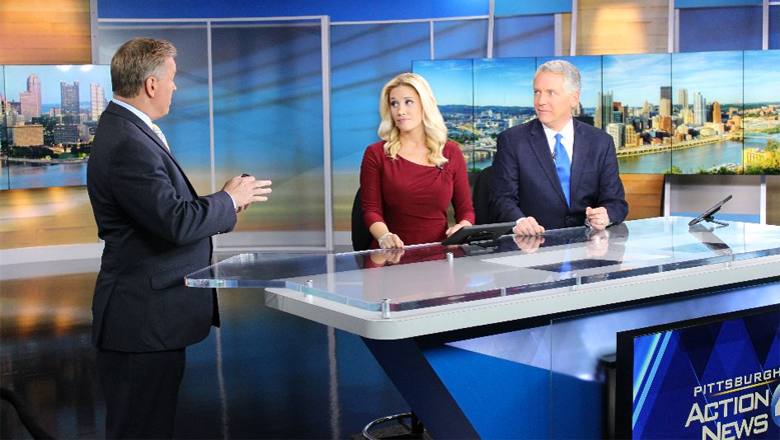 Devlin has another set in the market — over at KDKA-TV, which won NewscastStudio’s 2015 Set of the Year in the local news category.